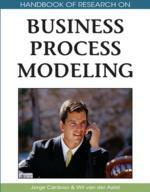 This chapter presents a process modeling approach for holistic process management. The main idea is that domain specific process models are required both to capture the contents of a process based application and to present a process model in a user friendly way. We presents how perspective oriented process modeling supports domain specific process model. Besides we describe how this approach can be implemented by applying a multi level meta modeling approach. “Business process management (BPM) is a method of efficiently aligning an organization with the wants and needs of clients.” (W3C, 2008). We want to complement this characterization and claim that clients could stem from inside of an enterprise or are external, i.e. customers of an enterprise. Despite the strong emphasis of enterprises, we prefer to talk about process management, neglecting the term “business” in order to indicate that processes are general, i.e. they span the business field, the technical field and many other application domains. We regard a process as a collection of activities that consume some input in order to produce a certain output; hereby, applications (systems, tools, etc.) are used. Agents are necessary to initiate and drive the execution of processes. Often agents are special applications but sometimes agents are human users who are interacting with applications in order to drive a process. Domain Specific Process Modeling: Describes a method for process modeling that allows the extension of standard process modeling languages in order to better reflect domain specific features. Operational Perspective: Defines tools or systems that support the execution of a process. Data Perspective: Describes which data (or documents) a process step consumes or produces. Thus the input and output data of a process is being described. All inputs and outputs together build up the flow of data in the process model. Functional Perspective: Describes the processes themselves and their structures. Each process can be decomposed into sub-processes. Behavioral Perspective: Describes the order in which processes have to be executed. Perspective Oriented Process Modeling: A method to model process which distinguishes several perspectives of a process model: functional perspective, behavioral perspective, data(flow) perspective, organizational perspective, and operational perspective. Through this decomposition of a process model domain specific extensions of process modeling languages can be implemented. Organizational Perspective: Defines persons or roles that are responsible for the execution of a given process.